The application of fertilizers takes place with or without intermediate storage. If there is no temporary storage, and therefore no pump set is needed, cultivation and climate changes can be even faster. 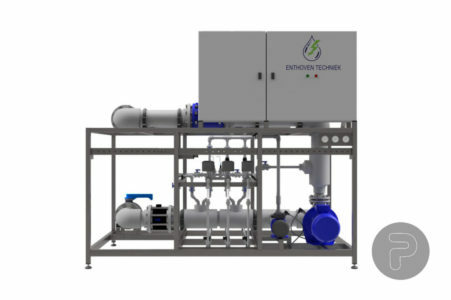 Through the Proteus suction unit, the fertilizers are added directly to the water flow through venturi effect or injection. The Proteus suction unit resembles the Neptunus fertilization unit, but without magnetic pumps and mixing trays. The four-pole pump system makes it possible to pump high capacities with relatively low use of power, ideal for storage systems and ebb and flood floor systems.